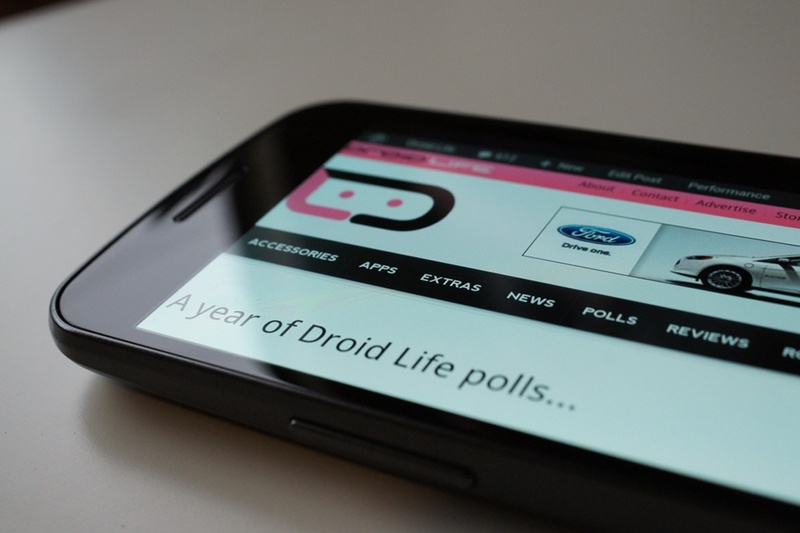 We have a huge love for people’s opinions here at Droid Life, which most of you have gathered as participants in our well known reader polls. Over the course of this year alone, we have posed about 70 different poll questions, asking that you share things like which devices you want, what features you need, and even what apps you can’t live without. As a community driven news outlet, there is not a better way for us to decide the direction of the site than through these polls. Plus, they are a ton of fun. At the end of 2011, we have reached 650,000+ total votes casted and more than 480,000 comments. To us, those numbers are mind-numbing. So down below we have gone ahead and pulled some of the top polls, charted them, and then presented them in a way that will give us all a look at what 2011 was all about. Who were the most popular manufacturers from one quarter to another? Are unlockable bootloaders important during the purchasing decision? 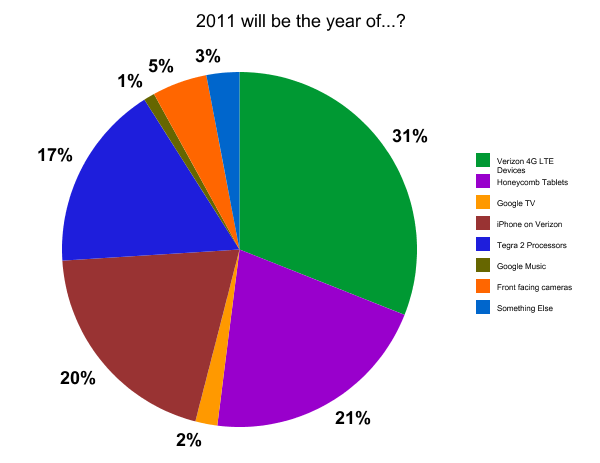 Did any of our 2011 predictions come true? Enjoy. 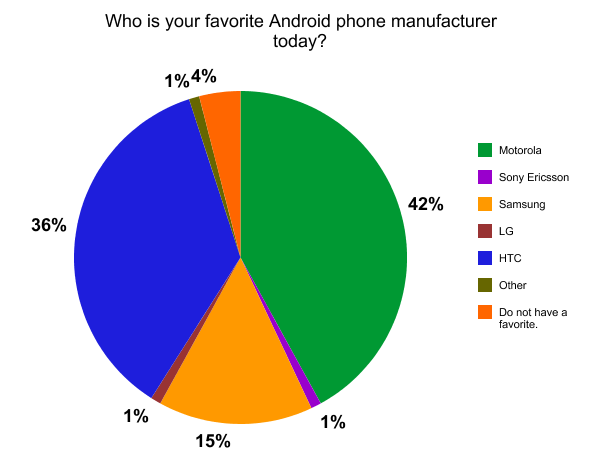 “What phone do you currently own?” It’s amazing to see how drastically a poll can change when a smartphone of the Galaxy Nexus’ significance comes out. 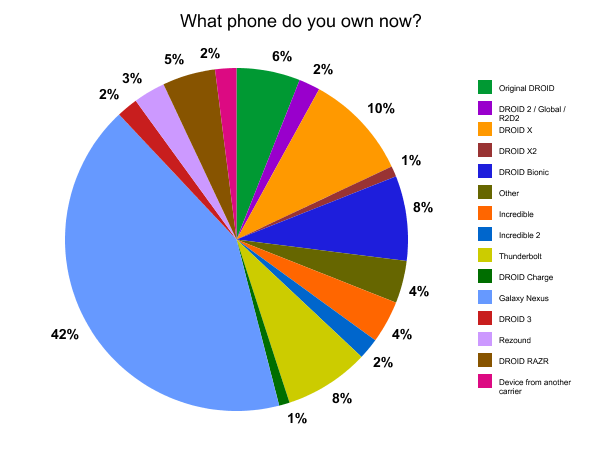 Back in September, the smartphone pie was spread fairly evenly throughout a number of devices. 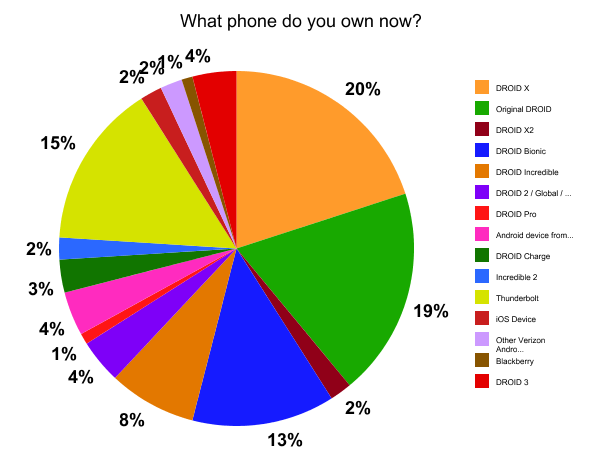 As of December 22 and a week into availability of the Nexus, there is one phone that has taken over the DL community. You can read our full review of the Galaxy Nexus here. Below we have the comparison charts for the DL community’s phone manufacturer of choice throughout 2011. Back in August, Motorola had a commanding lead over any other maker with HTC falling just short in 2nd place. 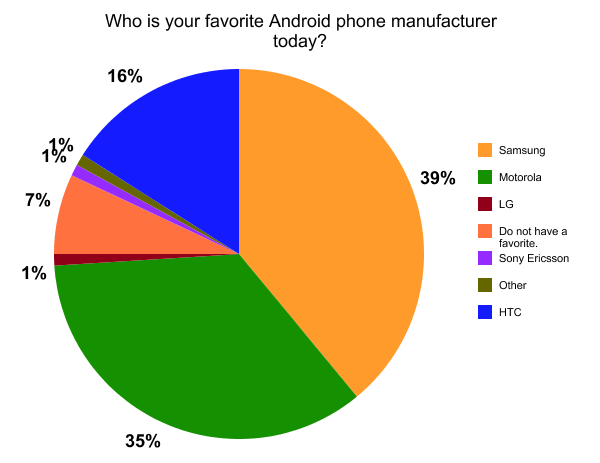 But now, thanks to the Galaxy Nexus, Samsung appears to have shed it’s “cheaply made” stigma and stolen the top spot. It’s tough to tell exactly what this means, but my first instinct is to assume that bootloaders, open software, and the latest version of Android have a bigger role in hardware choice than the actual hardware. All the way back in January we asked for your 2011 predictions. What would be the story of the year? Verizon’s new 4G LTE network? Honeycomb tablets? iPhone finally on Big Red? All of our imaginations were running wild as CES was just wrapping up and we were on the verge of seeing a huge surge of dual-core devices coupled with astonishing data speeds. 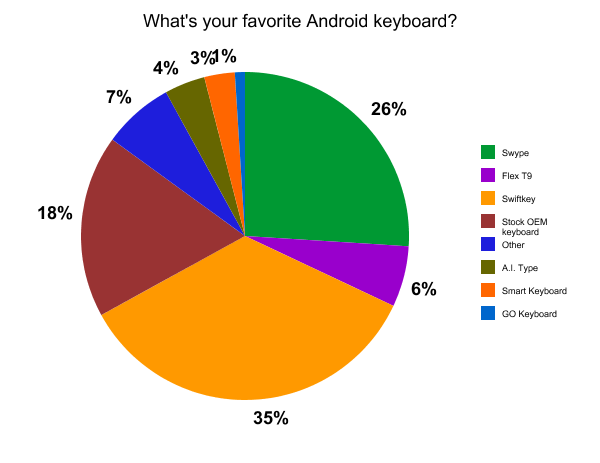 For the most part, the poll was pretty spot on other than most Honeycomb tablets flopping. LTE was clearly the talk of the town from quarter to quarter. Nice job, folks. 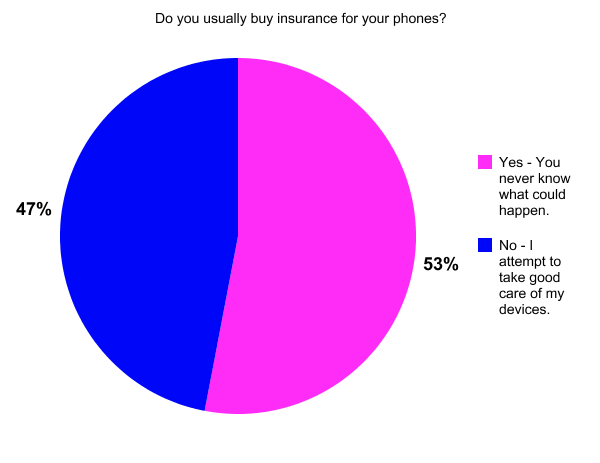 Along with all of the major polls we ran, we also asked a ton of other questions having to do with your smartphones. 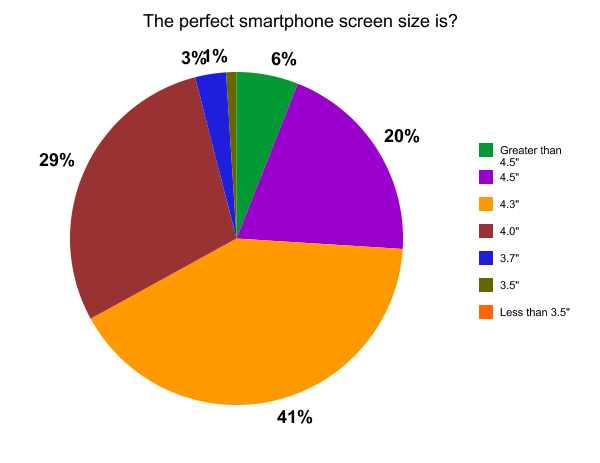 Questions ranged from what your preferred screen size was, if you used insurance, and even what your favorite keyboard is. 2011 also marked the year that Google introduced Google+ to be the next major competitor to go directly to battle with Facebook. After the initial “private” period, the service opened up to all, causing quite the reaction from readers and other tech minds alike. 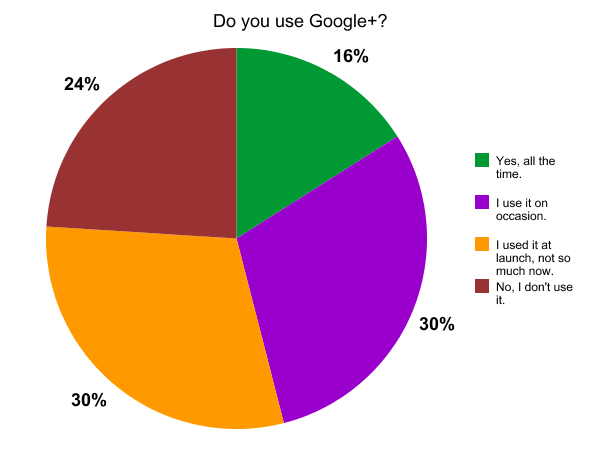 Were people actually using it? Did it stand a chance against Facebook? It seemed only fitting that we ask all of you. “But what about the bootloader?! ?” How many times did we hear that question this year? With Verizon and Motorola releasing device after device with locked bootloaders we could tell that people were starting to become depressed when thinking about the future of Android’s underground development. 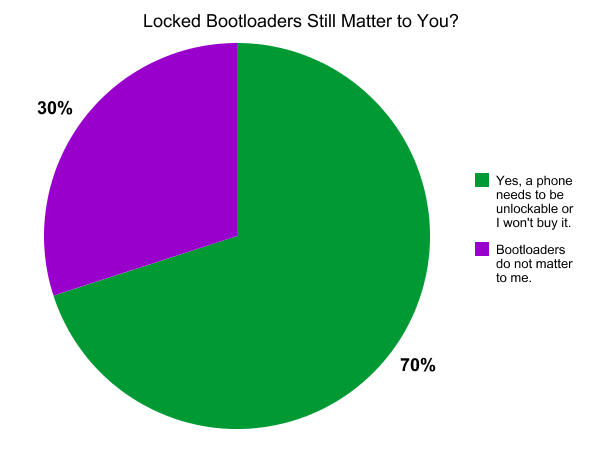 So do the majority of Android owners really want their bootloaders unlocked? This poll should give you the clearest answer. And in one last semi-poll, we still had time to create a massive list of the top 25 apps from 2011 posts for all of our app junkies. 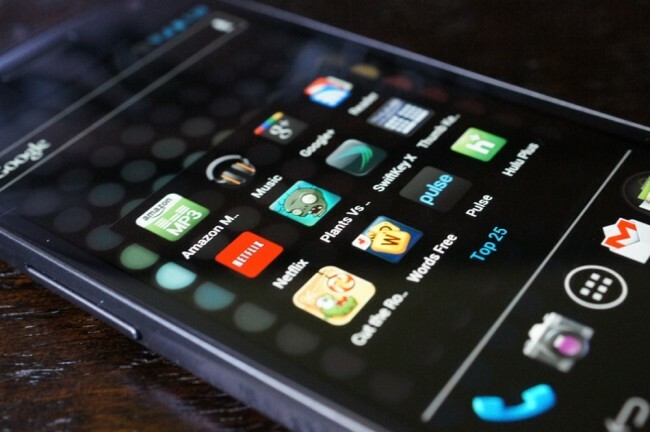 We covered the top games, utilities, and everything in between in this huge app roundup. Want to check it out? Then click the picture below. 2012 and CES are right around the corner. Any predictions on what will make headlines? Possibly Jelly Bean? Quad-core phones? Let us know your predictions down below.